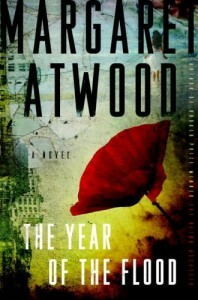 The Year of the Flood, the second book in the MaddAddam trilogy, came out 6 years after Oryx and Crake in 2009. 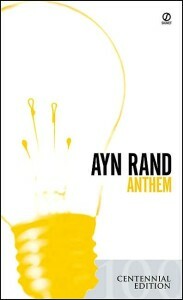 It is not a sequel, but rather a companion to the first novel as it takes place on a concurrent time. Toby and Ren survived the epidemic that killed most of the human race. A series of flashbacks informs us that Toby was a therapist in a spa and Ren an exotic dancer in a nightclub. Even though the two women are very different, they have something in common: they were once members of the God’s Gardeners, a group of pacific, religious and ecological people who knew that the Waterless Flood was coming. The book follows Toby and Ren’s separate stories of survival both before and after the epidemic. The Year of the Flood is more interesting and more engrossing than Oryx and Crake in large part thanks to the two main characters, Toby and Ren. 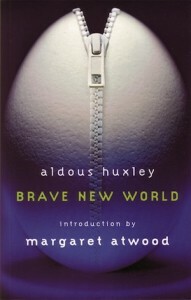 They have more depth and are more likable than Jimmy, the crazy, self-destructive narrator of the first book in the MaddAddam trilogy. In addition, it’s fun to see other characters present in Oryx and Crake pop up from time to time. However, I found the discourses of the God’s Gardeners’ leader, Adam One, to be long and cumbersome at times, even though I understand that they were used to give the reader more insight about the cult. 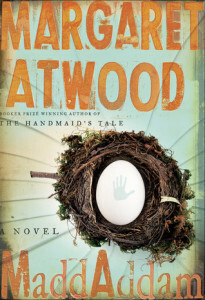 In the whole, this book was excellent, and I am looking forward to reading MaddAddam for the conclusion of the trilogy. Singer and musician Orville Stoeber composed music to go with the hymns of the God’s Gardener. He made a CD that came out in 2009. The name Rebecca Eckler is the name of a real person who won a benefit auction for The Walrus magazine. Margaret Atwood’s first job was working for a market research company. At one point, she tested pop-tarts, and she was convinced that nobody would buy them, especially as they were exploding in the toaster. Margaret Atwood never went to creative writing school. She learnt by doing.